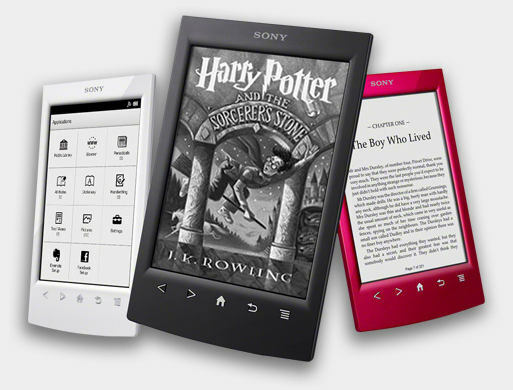 When Sony announced that they would be closing their ebook store in North America, they decided that it would be best to send all their customer accounts to Kobo. One of the assurances they made was that the last three generations of Sony Readers, the PRS-T1, T2, and T3, would get access to the Kobo ebookstore through a firmware update. The firmware update was issued two months ago. The transition to Kobo’s store on Sony devices was supposed to take place in May, but that didn’t happen. Earlier this week I checked from my PRS-T2 and it still couldn’t access the Kobo ebookstore. But today, as I was getting ready to write a post complaining about Kobo missing the deadline, I found that the Kobo ebookstore does in fact work from Sony devices now. The store loads from the Sony PRS-T2 okay. The layout is a bit confusing trying to find things, but it works. The problem is there’s no way to access your purchased ebooks. I was hoping that my Kobo ebooks would show up in the library on the device, but that didn’t happened. So I thought there would be a way to download them from the onboard ebook store. But there’s not. You can’t even view a list of your purchased ebooks. If you search for one that you own, the description page will say the ebook is in your library, but there is no way to go to it to download it to the device. As far as I can tell, there is no way to get your purchased Kobo ebooks onto a Sony Reader aside from downloading them with a computer and sideloading with a USB cable. Update: After some further testing and trial and error, I finally discovered how to get Kobo ebooks to show up on the PRS-T2. They aren’t located under the “books” section like how Sony did things (that would be too obvious). Instead you go into the bookshelfs for the device and specifically select the purchased content bookshelf. My hubs was wrassling with his T1 the other day … we never did get it to work right on his comp; had to go thru a different computer and use Calibre to sideload some epub books he bought from a professional website. I’ve gotten mine to work, but I tested a book that I knew had DRM (because a reader on a forum told me it did) — a book that I wasn’t personally interested in — and now, even though I’ve “deleted it forever” from my library at my online Kobo account, I can’t get it to disappear from my Purchased Content bookshelf on my PRS-T2. If I long press it, I get the option to download it, or to get info. If I tap it, it downloads, even though it no longer shows up at Kobo? I try syncing and that doesn’t change anything. Has anyone ever had this issue and is there a fix? Thanks. It seems that you can’t delete anything from the purchased content bookshelf, but once it’s downloaded it goes to the books section and can be deleted from there with a long press. Does that work? Or does it jump back to the purchased content shelf after deleting? All books in the Purchased Content bookshelf remain there, whether they are downloaded or not. If they’re not downloaded, they’re grayed out with a down arrow on the bottom. Once you download them, they look exactly like they do in the Books bookshelf (no longer grayed out and without the arrow). If you delete them from the regular Book bookshelf, they return to their grayed out form, with the down(load) arrow. And they stay that way, even when the book is completely deleted (permanent delete) in the Online Library. I just don’t think the Kobo Store is syncing to the Purchased Content shelf on the T2 for deletions. Obviously it’s syncing properly for purchases (and previews) but not vice versa. a friend told me about the other post about the update and I made it but only from the italian website of Sony, because the update wasn’t compatible with my Sony PRS-T3 and on the italian site it was available only from half june 2014. I updated my e-reader but I can’t see the Kobo Store on it; the sincronization with Facebook & co. and Sony Store disappeared as announced (I don’t like these choices). But in Italy the Sony never worked. I’ll post about it on my blog in a few days, linking to your posts.